Finally, you just need to step in and truly accept God’s gift — His Son, Jesus Christ. 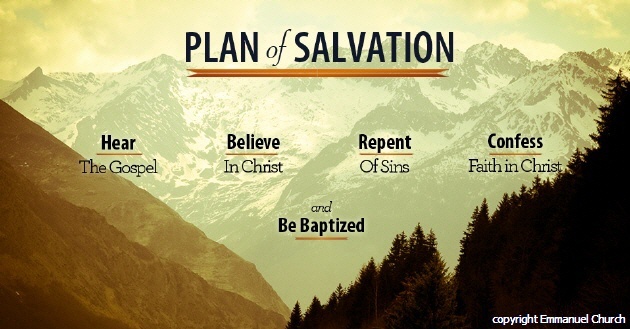 If you want to receive Jesus now, and accept His gift of salvation, it’s a matter of believing in Jesus Christ, repenting of your sins, and turning the rest of your life over to Him. This is not a ritual based on specific words, but rather, a prayerful guideline for your sincere step of faith. “Repent, and be baptized every one of you in the name of Jesus Christ for the remission of sins, and ye shall receive the gift of the Holy Ghost” (Acts 2:38). If you decided to become a Christian today, welcome to God’s family. Now, as a way to grow closer to Him, the Bible tells us to follow up on our commitment. Join a local church where you can worship God. Services at Emmanuel Church are every sunday morning at 9am.